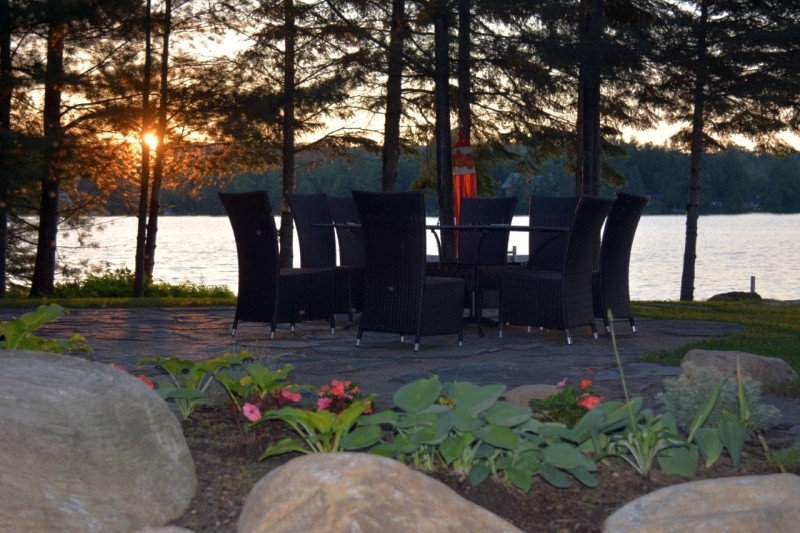 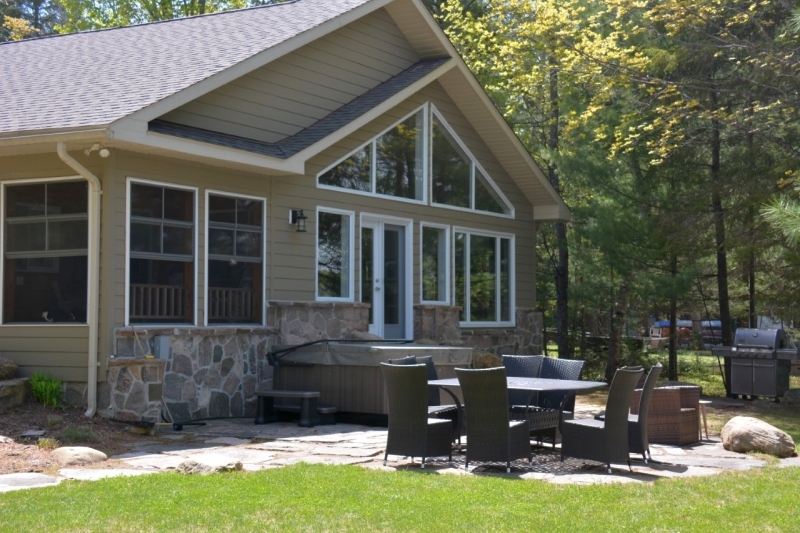 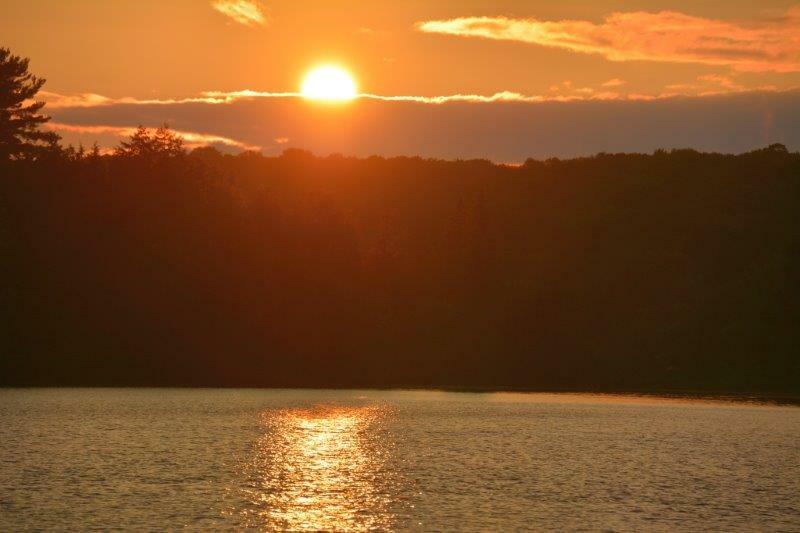 "Lakeside living at its best!" 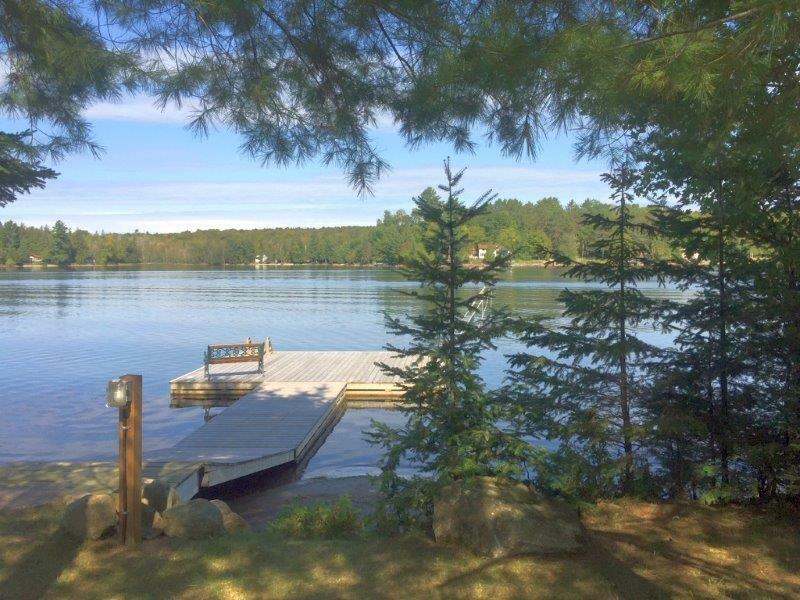 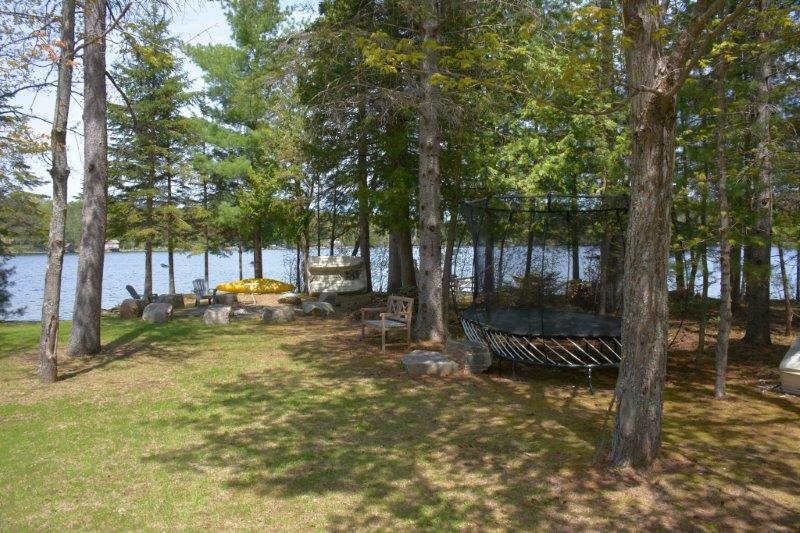 177 ft of frontage, north-west exposure for sunsets, big-lake views, sandy beach area, deep water off the dock and lots of privacy at the waterfront. 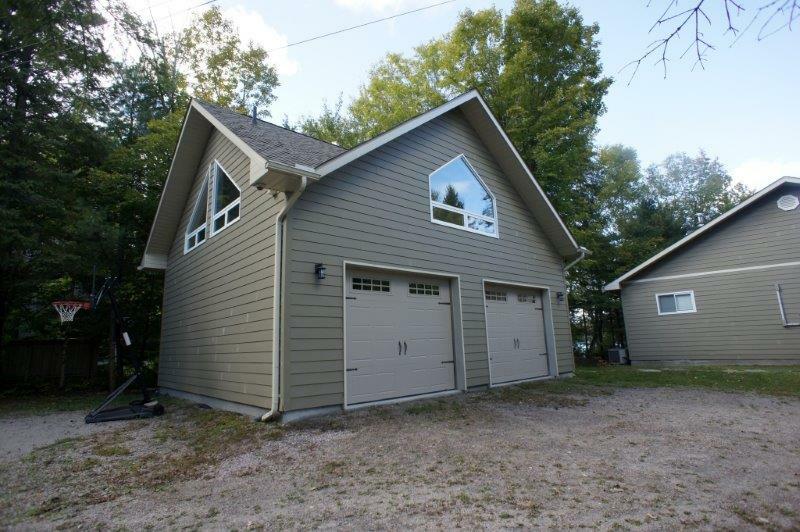 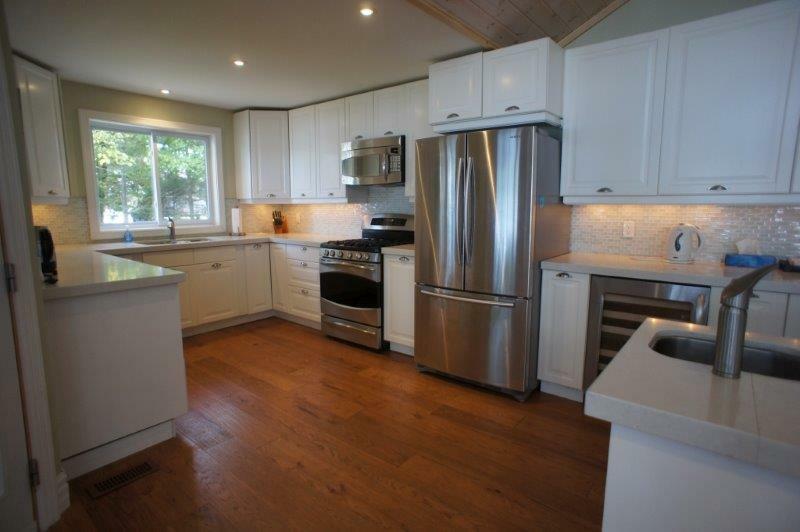 This 4 bedroom, 2 bath cottage/home has been completely re-designed and renovated from the studs up. 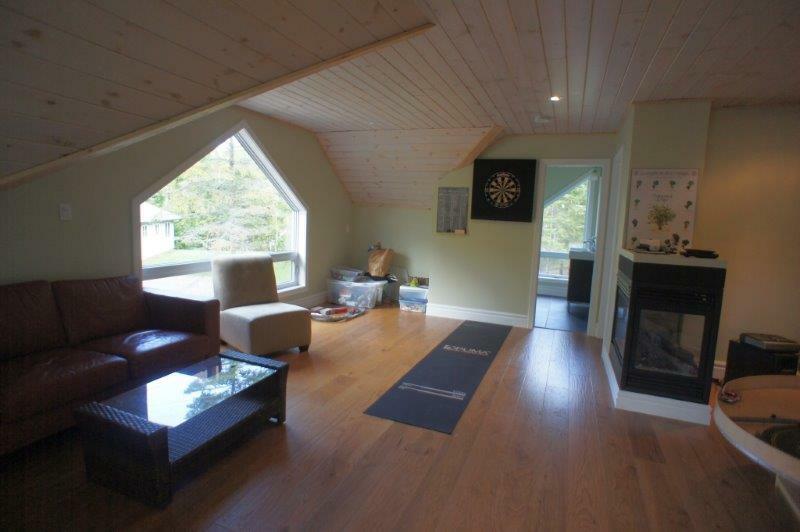 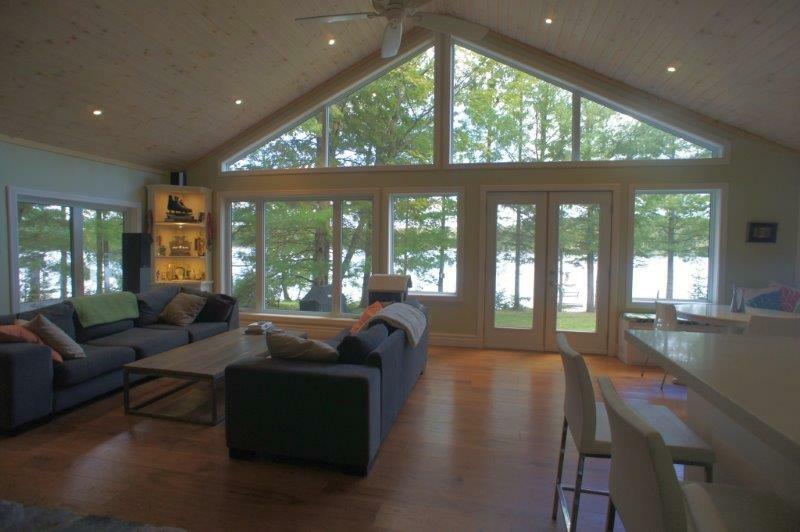 The open concept great room has tall windows across the front, pine cathedral ceilings, engineered hickory flooring and a woodstove with granite backdrop. 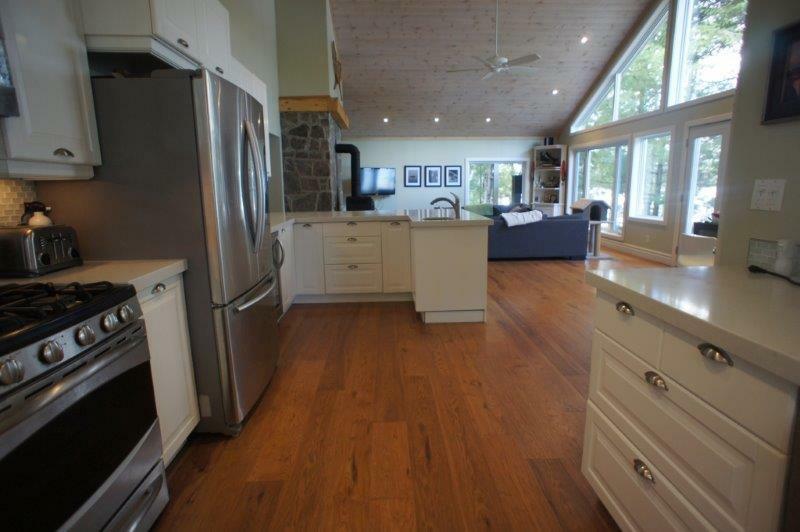 A huge kitchen is made for entertaining with Caesarstone quartz counters, s/s appliances and a serving area with a bar fridge, sink and breakfast bar. 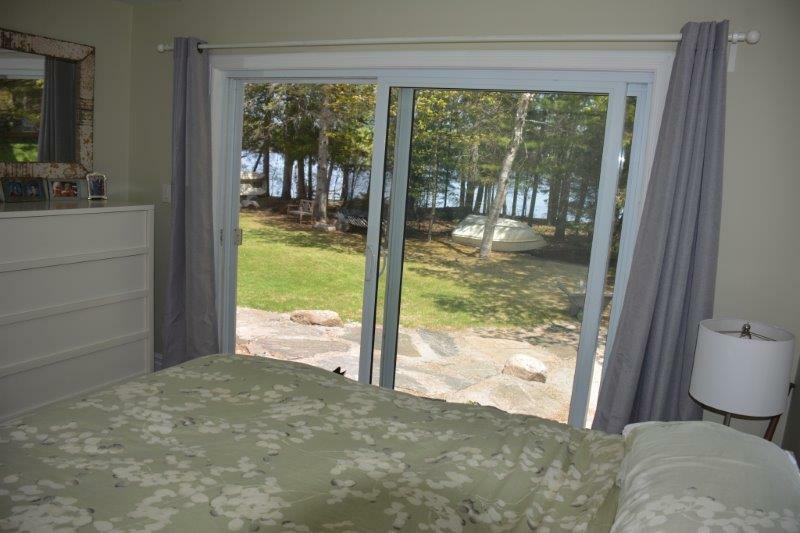 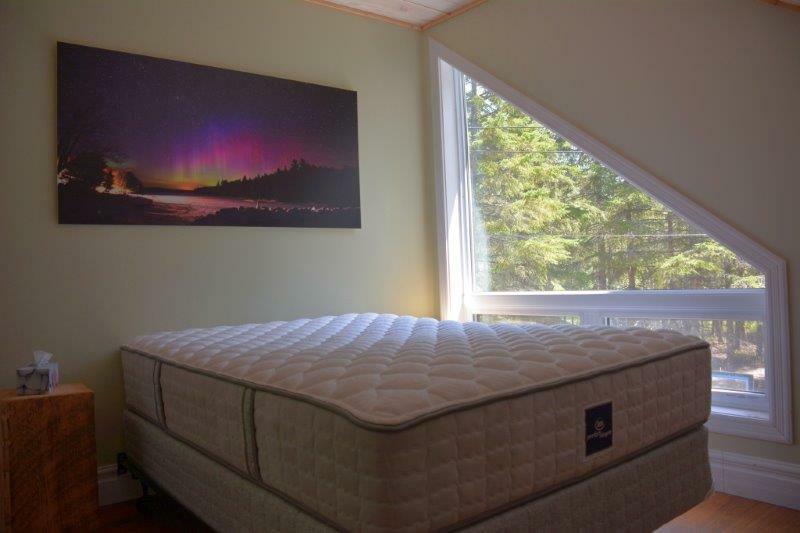 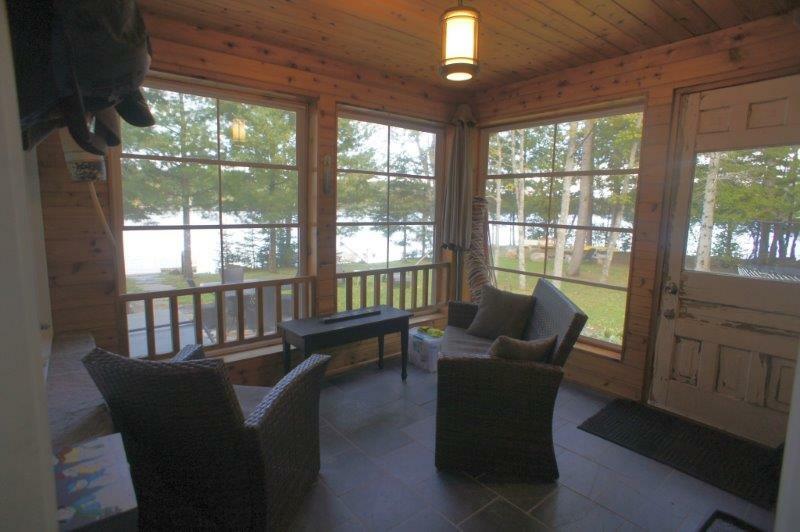 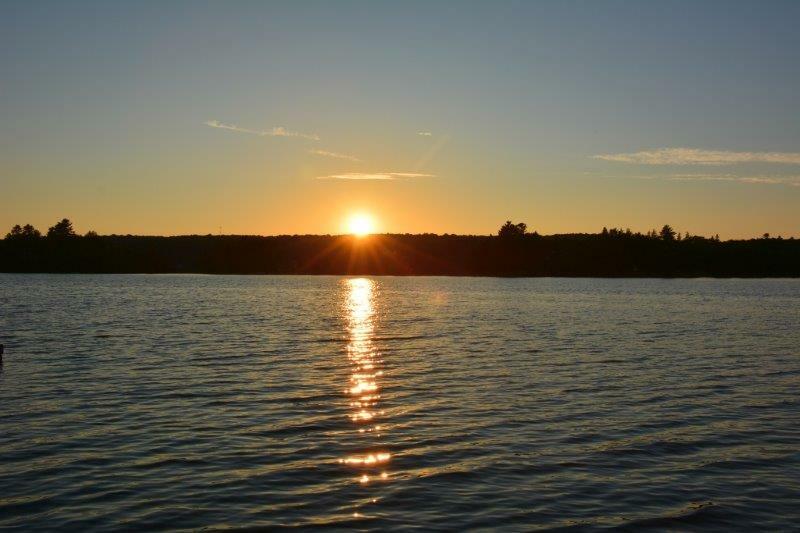 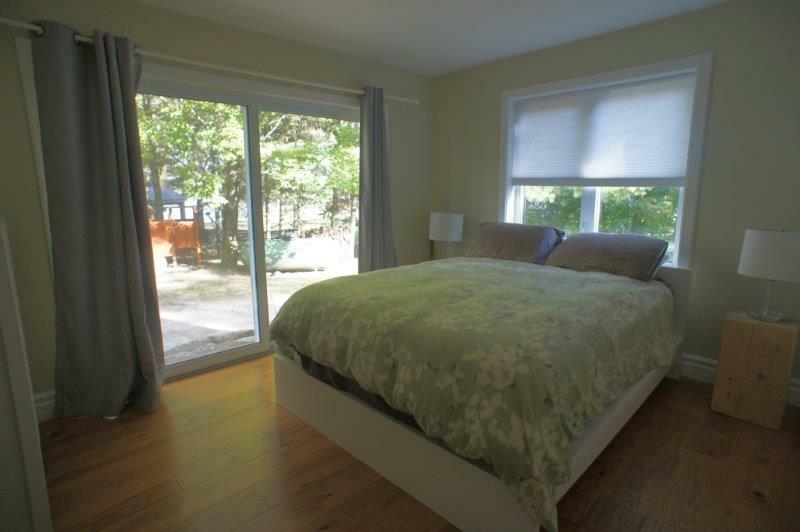 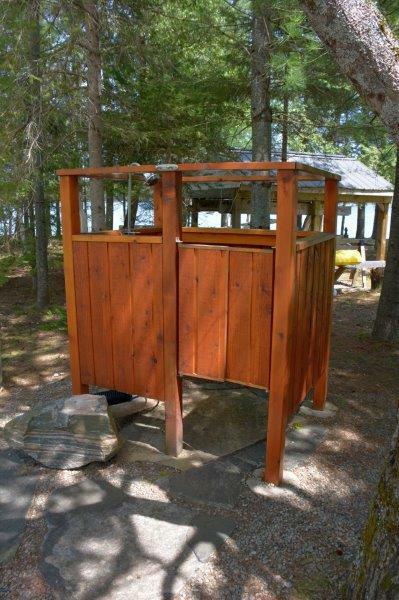 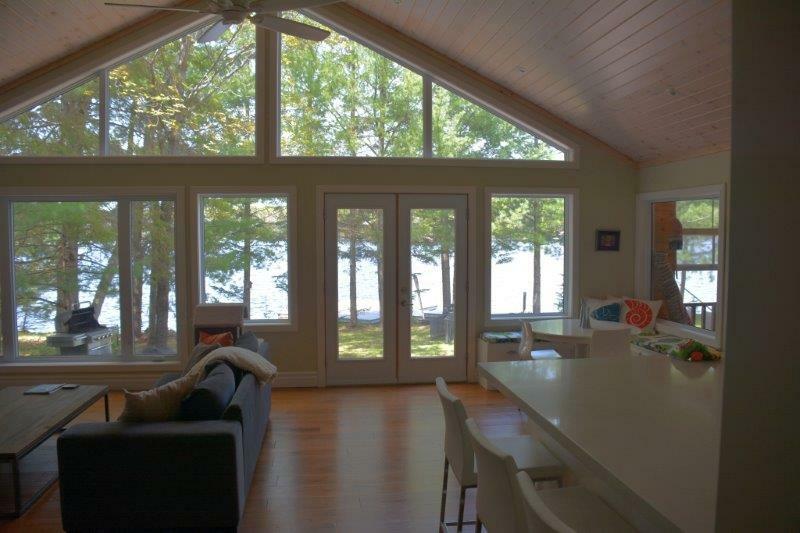 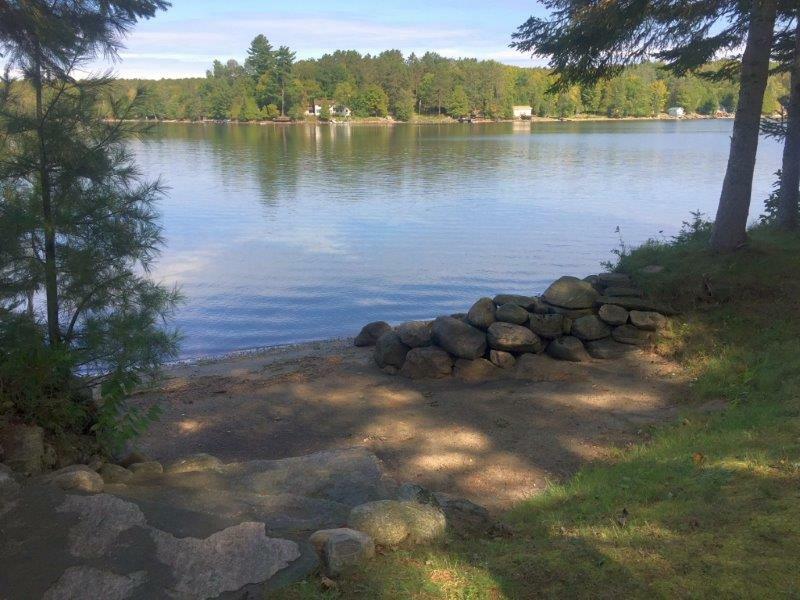 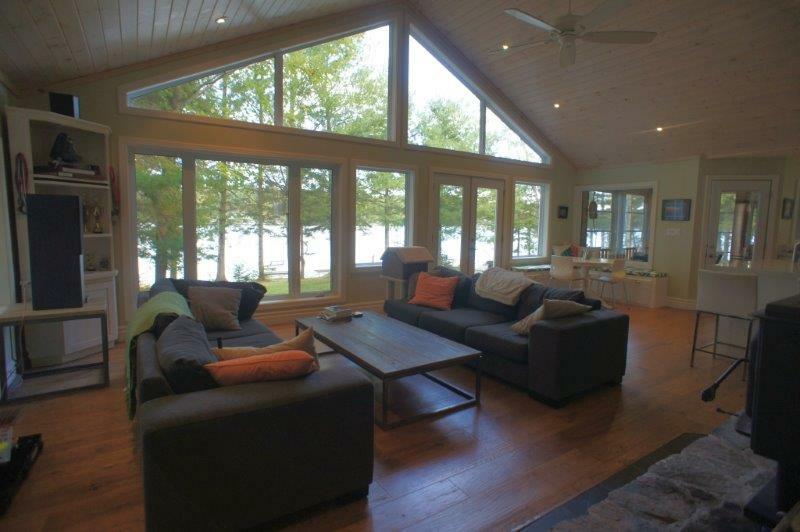 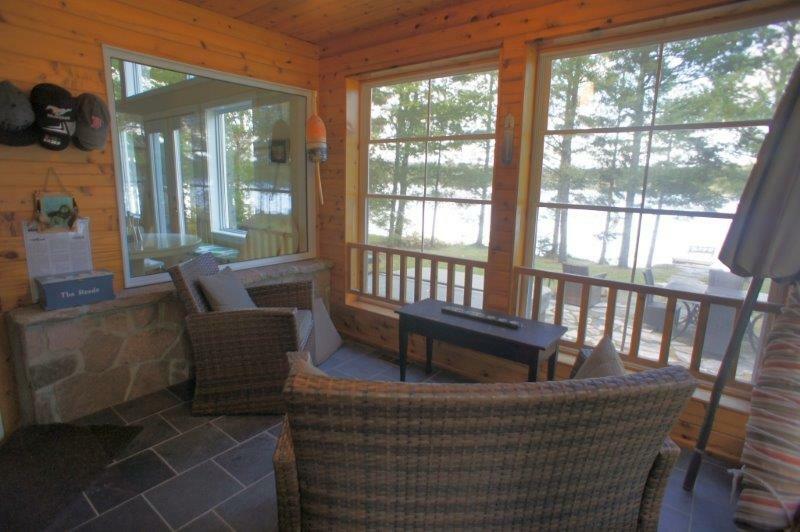 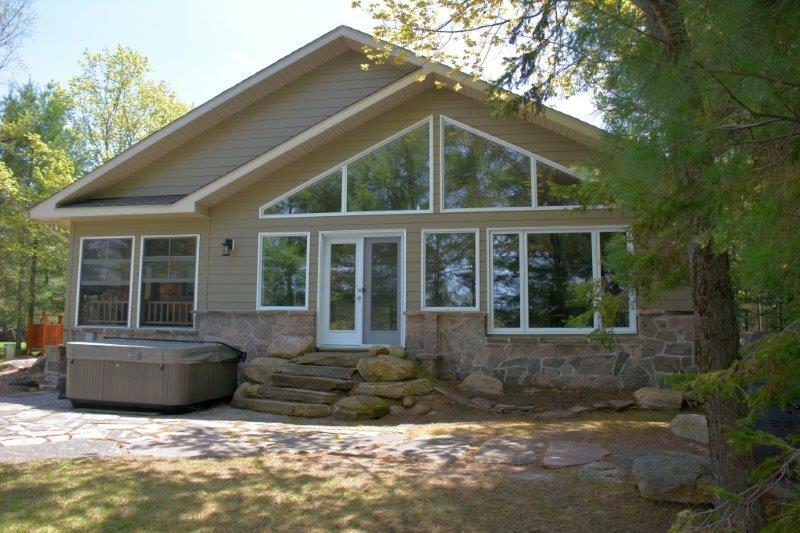 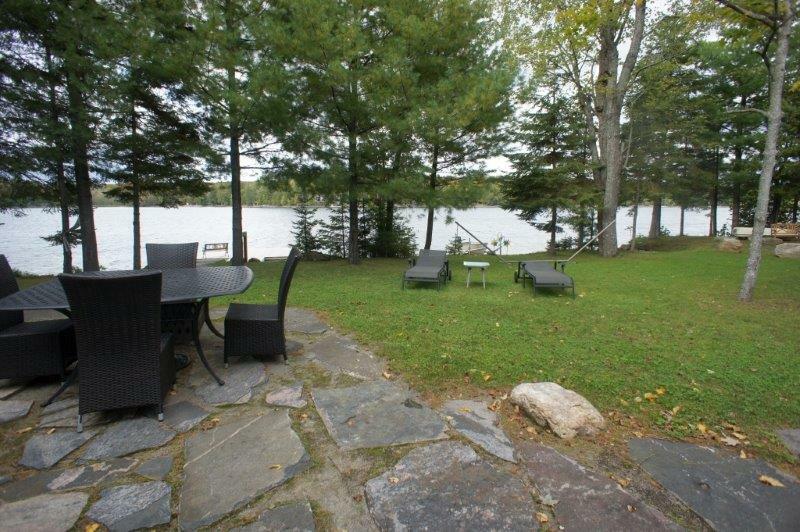 Wake up to the view of the lake from the master bedroom with a 3pc ensuite. 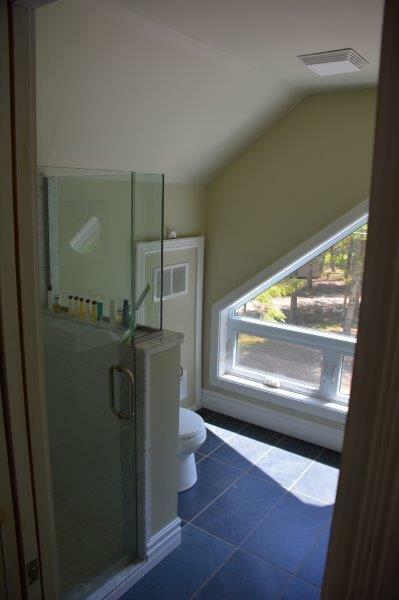 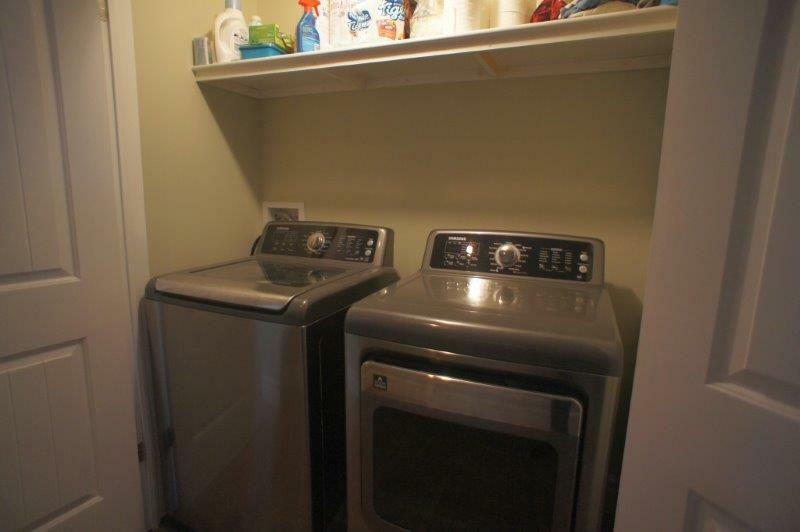 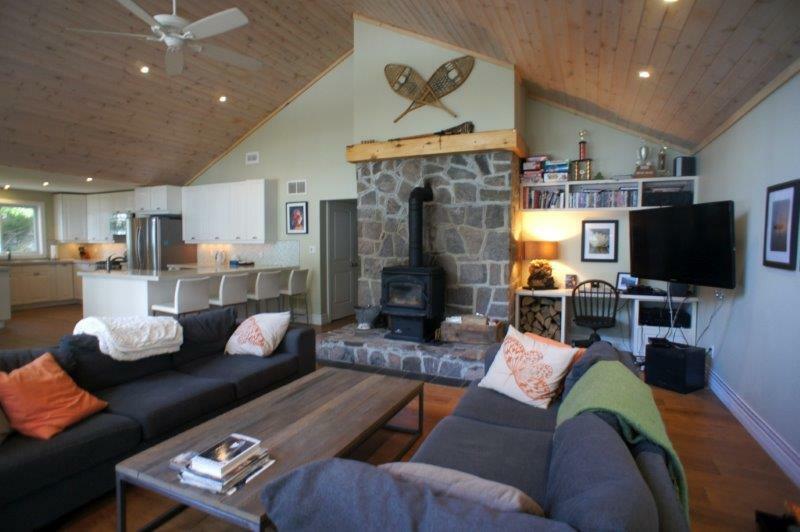 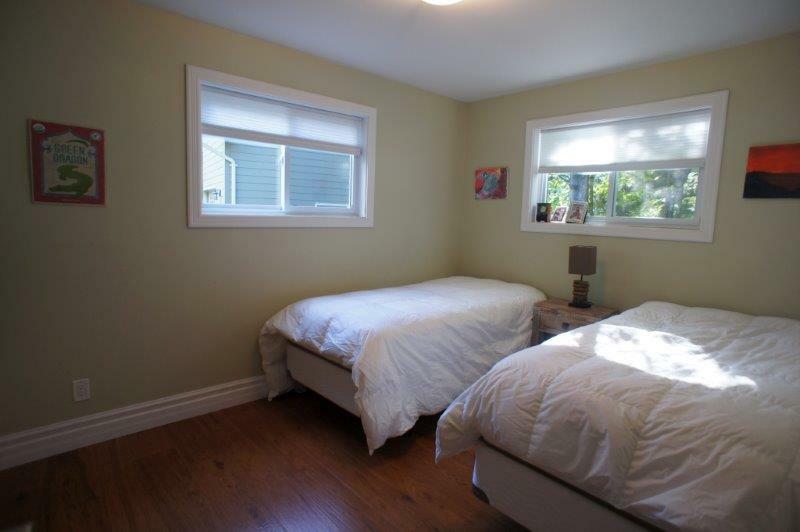 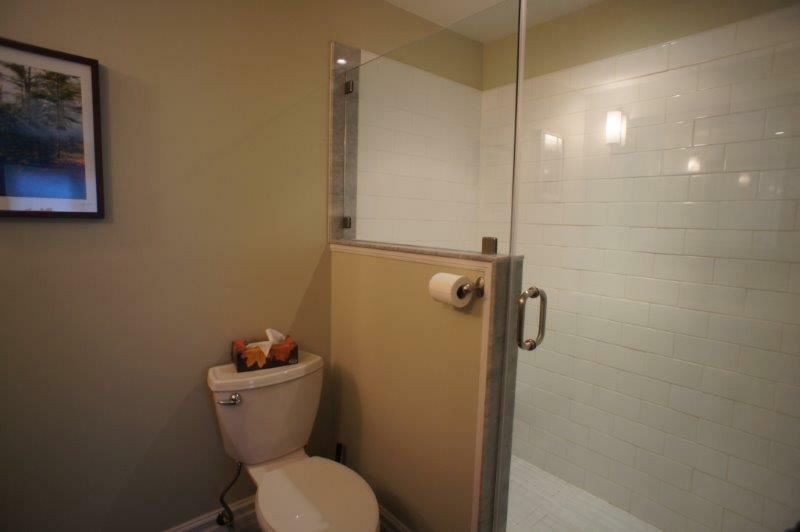 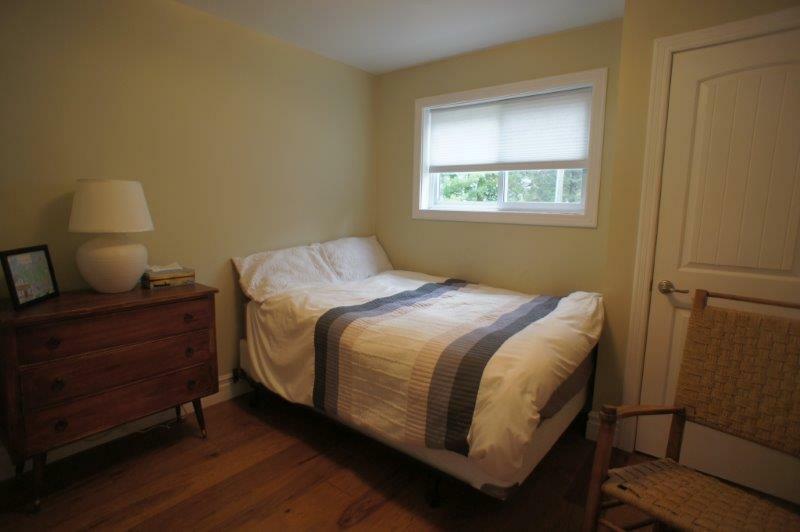 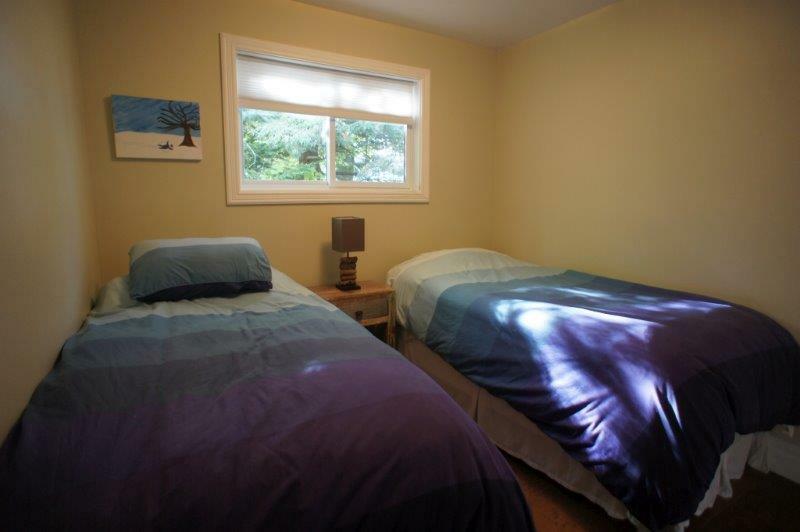 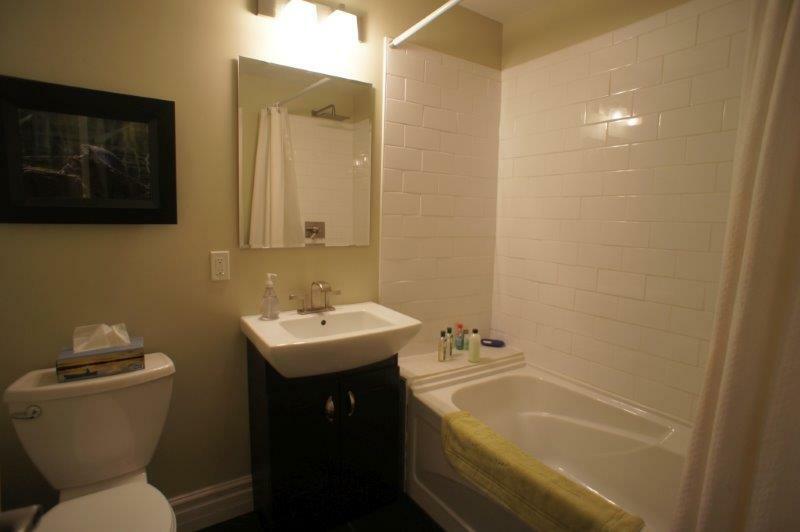 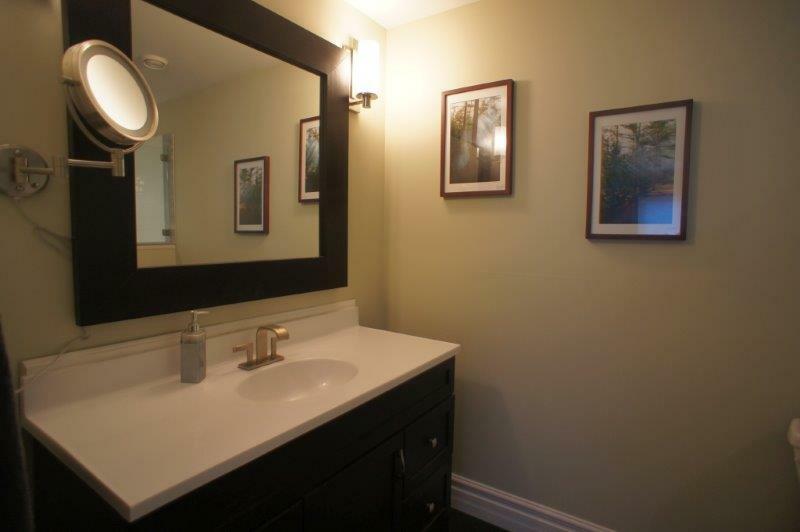 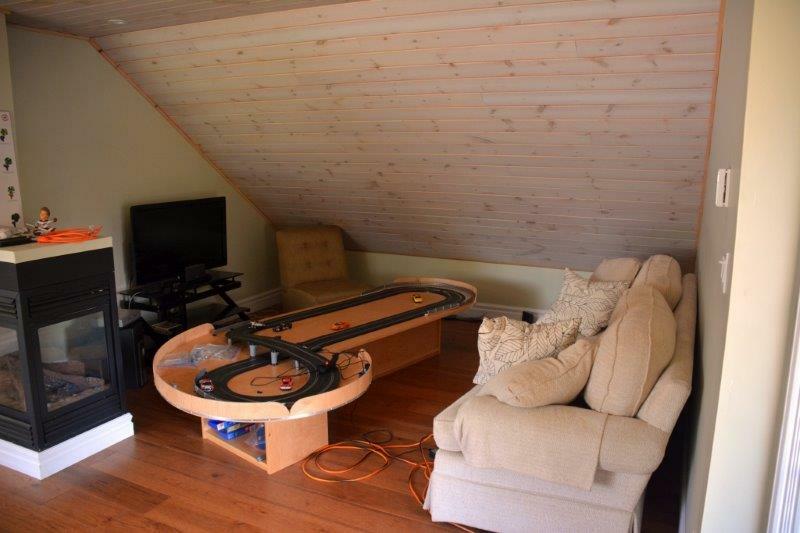 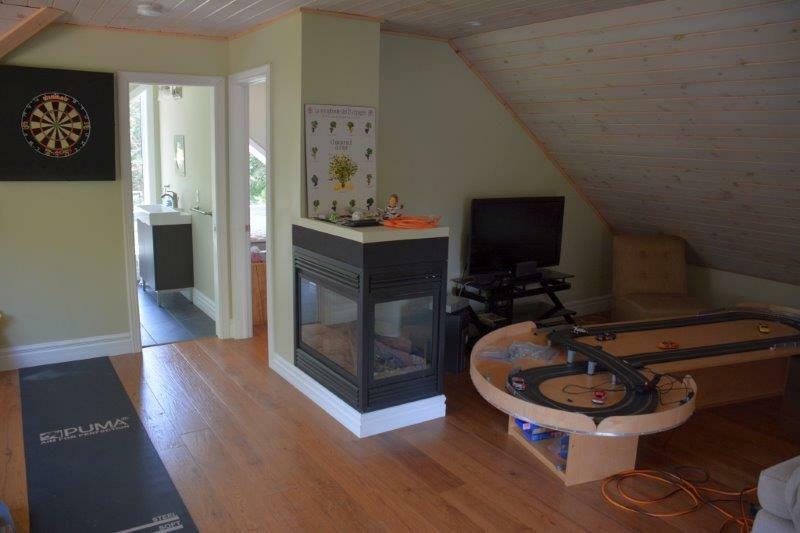 Three other bedrooms, a 4pc bath and laundry area complete the well-appointed cottage. 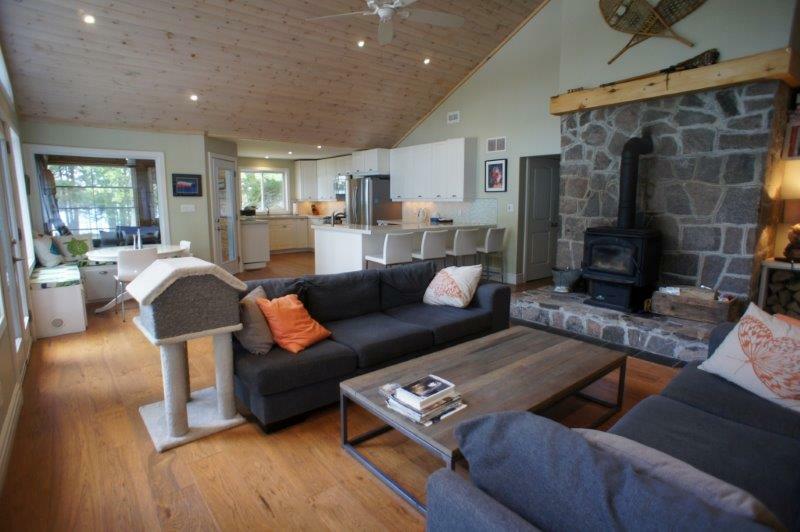 Immediate availability for Horseshoe Haven. 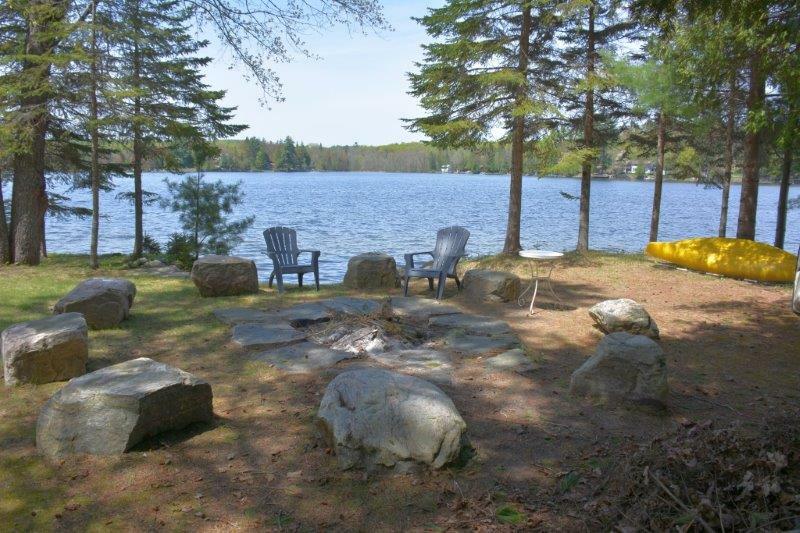 For later dates, please see the full Horseshoe Haven Availability Calendar.